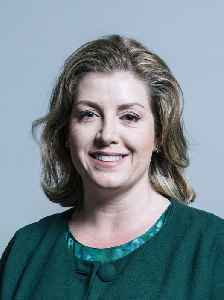 Penelope Mary Mordaunt is a British Conservative politician serving as Member of Parliament (MP) for Portsmouth North since 2010. She has served as Secretary of State for International Development since 2017 and Minister for Women and Equalities since April 2018. Before becoming an MP, Mordaunt worked in business and communications and is currently the only female MP who is a Royal Naval Reservist.